The fairy we’d like to be. Loved by all fluffy creatures great and small. 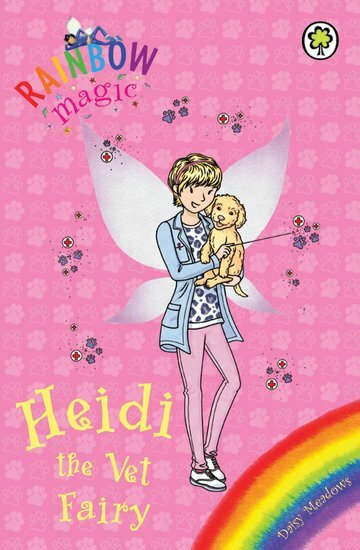 Not only does Heidi have magical powers: she’s all about saving animals. What a star. So when Rachel and Kirsty volunteer at a new vet’s surgery, looking after lots of adorable pets, they know they can count on Heidi’s help. But soon strange things start to happen. Everything is going wrong. Could this be the work of nasty Jack Frost? The ultimate Rainbow Magic special: magical, cute and thrilling. Join the fun and help the animals out!